48 bulls and 15 bears, failed to reach an oversold range. 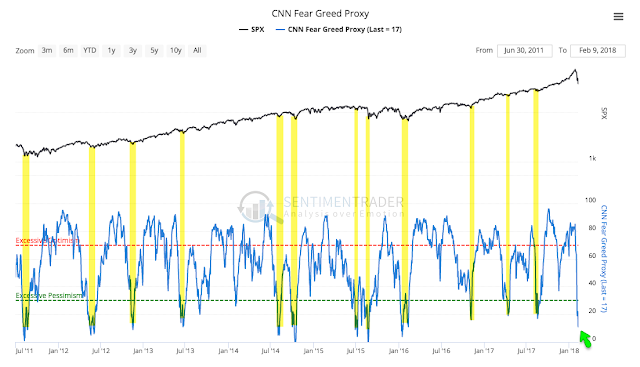 Had the indicators reached an oversold range, it would have suggested that a long-term bottom was in place. on the high side. Continued bouncing is needed in the short term in order for these gauges to return to a position of optimism. 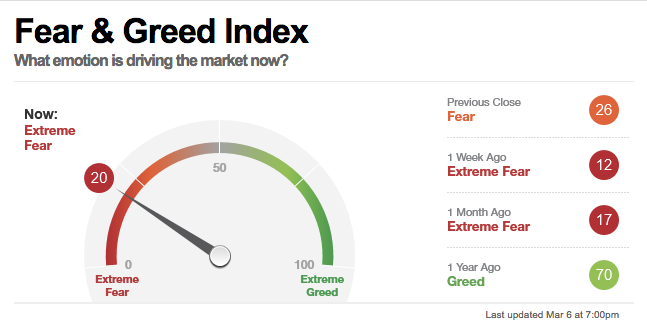 Visit CNN Money – Fear & Greed Index Tool Here.